Today I have listed below few best Remote Desktop Apps for Tablet so you can easily connect with remote desktop connection and control your personal computer from anywhere with the help of you tablet. All these remote desktop apps will streams the whole PC with smooth, high-res video and audio and will allow you to interact with your all applications, games and files, just like remote desktop connection manager. The main advantage of this application is that it is completely free. Developers don’t use banners on the program, don’t ask for the money, don’t impose the need to buy the paid version. The app settings are very easy: after the program opening on the PC, the user is assigned a number to be entered in the mobile application. Moreover, there is no limit in the number of the connected computers. It is ok with the security issues, because you will need a new code to enter for each new connection. One of the main functions of these app is cursor control. You can do that the cursor will lay directly under the finger, and it can be set up as if the tablet screen is one large touch pad . There are no problems with speed of work and productivity. The program can be a bit slow only in one case – at the video file opening on the remote desktop. However, if you buy the Pro version of the app, then this “bug” disappears. Functionally, this program is severely limited. Its main drawback is very slow work. Another important drawback is that the application does not know how to adapt the work area of your PC to your tablet, so users will have to regularly scale the image . The app main advantages are its interface and Google-account synchronization. Also the application has a file manager. 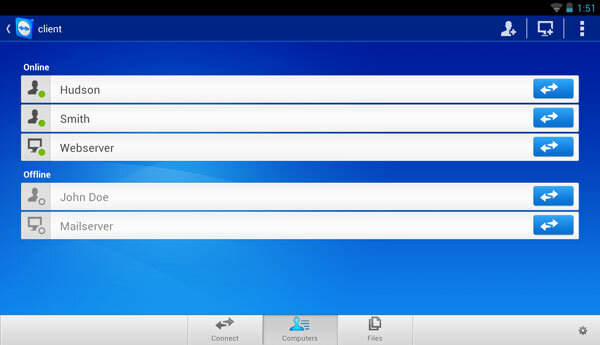 To use it, the client must add folders to which you will have remote access. 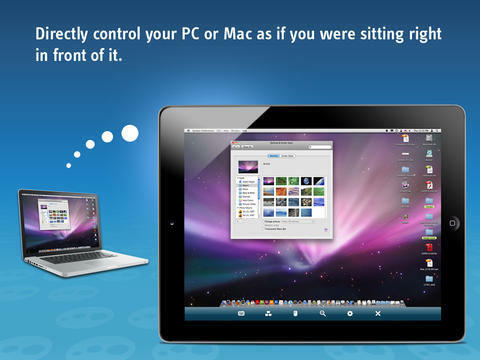 This is one of the best remote desktop app for iPhone. The basic version of the program is free of charge. Developers offer to pay extra just for the opportunity to transfer HD video files, support of multiple monitors and some other advanced features . When you first install the program, it will require to create an account on the service . The connection is fast, the picture is synchronized without any delay. And indeed the speed, in comparison with all possible analogues, is high. 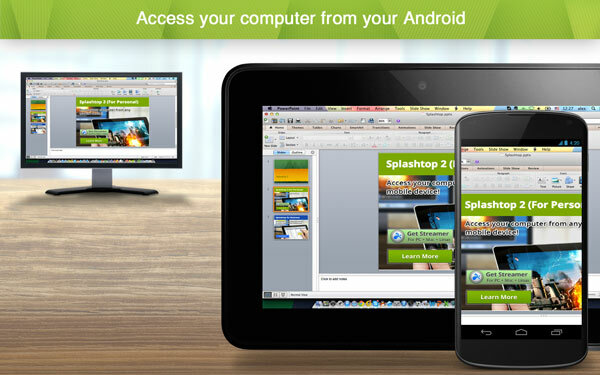 Platforms the app is available for : iOS remote desktop app, Android, Windows Phone. This customizable application is quick and easy in use. Its optimization is great and the work speed is no slower that LoMeIn has. Another advantage is the opportunities to customize the app. Everything can be adapted so that even on a small screen it would look beautiful and would be convenient to work on it. Automatic resolution switching works fine too. Cons: there is no file manager and it is paid. Platforms the app is available for: iOS, Android. Great application for special tasks, especially for access to video files that play on your computer. You can also connect to the web camera installed near the home computer. Menu has only English interface. Unfortunately, it is still impossible to work with documents. Platforms the app is available for : iOS.